Underground, basement parking lots command a premium for slots that are close to the elevator lobby. The premium is not defined in terms of price, rather for the convenience they afford. The early bird to the office is often rewarded by less time spent in foraging for a convenient parking slot, car slowed to a crawl and the eyes doing full aisle scans in a matter of seconds. This is a photo I shot at the parking lot of a large office building in Bangalore. 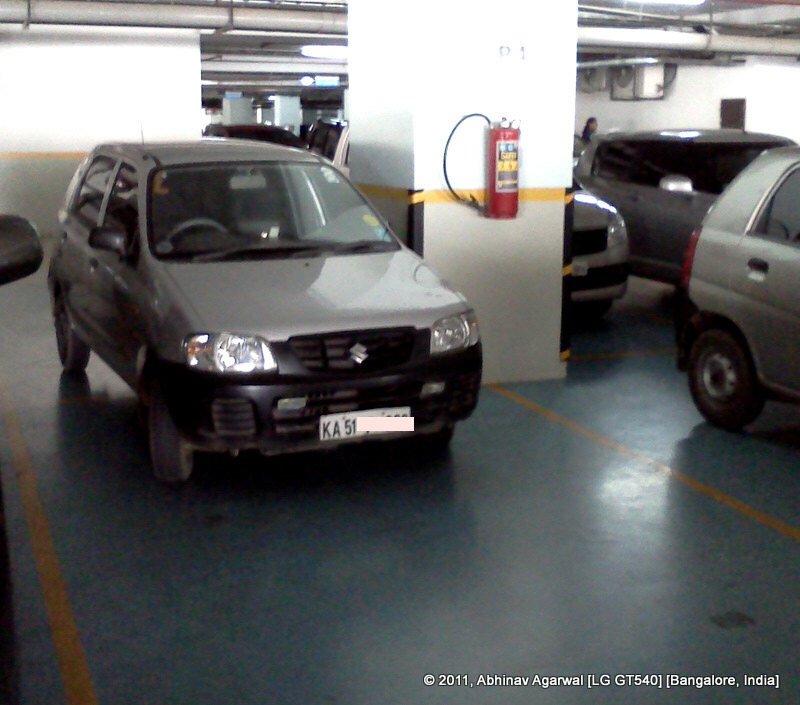 See how this genius has chosen to park his ride. Neatly between the two lines, but straddling two parking slots. It is not possible for any other car to park in either of those slots. People coming in later that morning to the office would see an empty space, drive their car to the spot, only to see that this genius had wasted a parking spot. Whatever possessed him to act like an idiot? Did he not realize that he was in-between two spots? Or did he think he was affording extra protection to his car by so parking it? 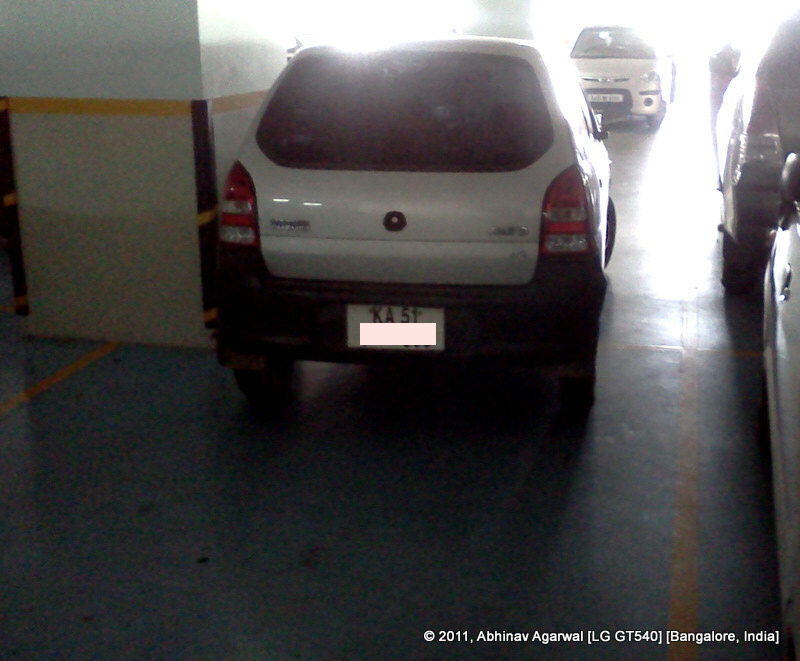 These parking spots are large enough for most Indian sedans. The car here is a Maruti Alto, which is one of the most compact hatchbacks on Indian roads. It can fit comfortably in one parking slot. The only conclusion I can draw is that this, gentlemen, is an idiot. Suffering from temporary idiocy perhaps, or he was in a hurry perhaps. Whatever the reason, the end-result is he looks like an idiot.